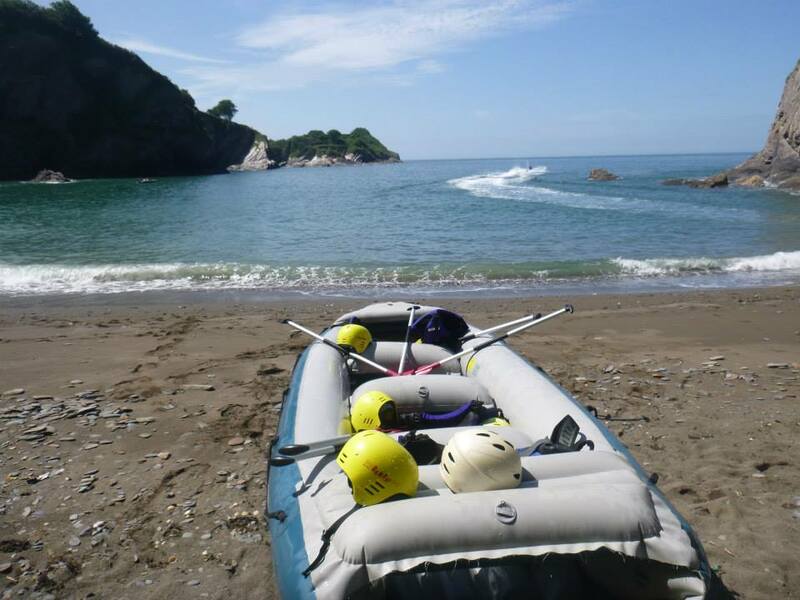 You and five mates can all get involved with our 6-seater rafts. 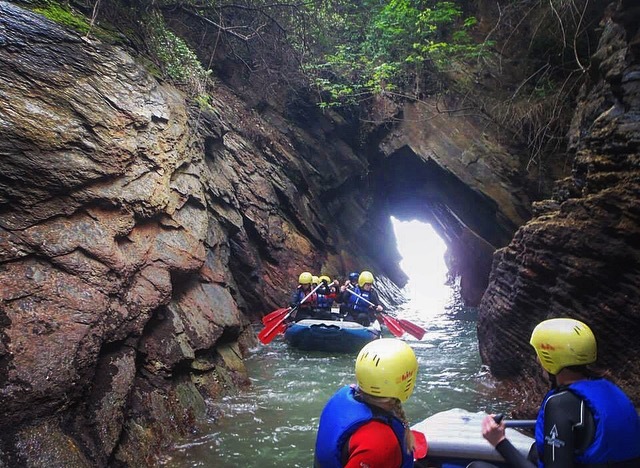 They’re great fun for groups and a brilliant way to explore the stunning coastline of Watermouth Cove Ilfracombe, where you’ll paddle around a beautiful bay finding gullies, exploring caves and jumping off rocks and swimming in the sea. Prices are £38 per person for a three-hour rafting session. Please use the contact us tab to discuss and book a session with us. I just wanted to say thank you so much to you, Adam and Pete for making our day out kayaking such a success. All of the girls absolutely loved it and we had so much fun. 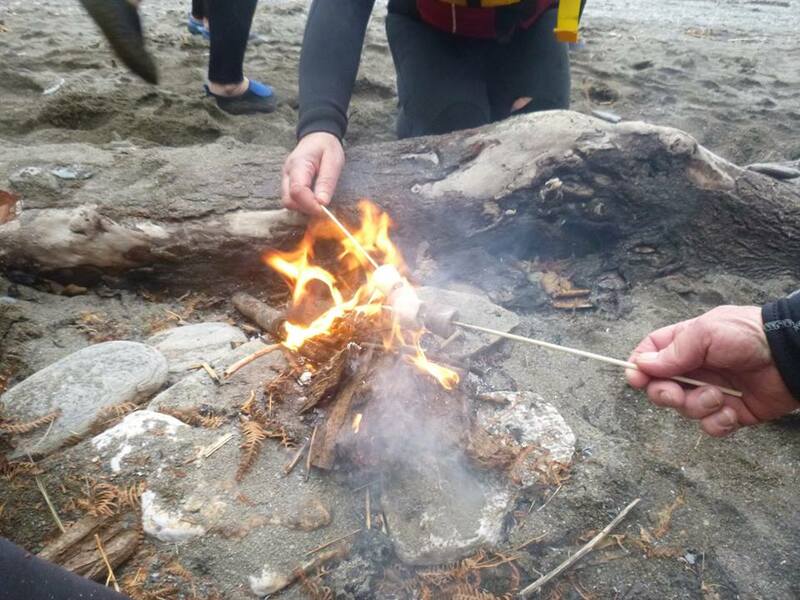 It was really good fun lighting up the fire, cooking our lunch and making the bread and thanks especially for the bottle of pink fizz which was really thoughtful! Adam and Pete were so knowledgeable it was a real pleasure to be taken out by them and huge thanks to you for being so involved with the arrangements.